It’s the modern parent’s dilemma: helping children learn 21st-century technology skills without sacrificing meaningful face-to-face interactions. The American Academy of Pediatrics (AAP) recently updated its guidelines for older kids, removing suggested digital time limits to allow parents to make their own judgement calls. As more and more schools leverage technology as a tool for learning, setting limits on its use becomes complicated. In today’s world, the old adage that “TV rots your brain” is also no longer accurate; research suggests that newer media offer both benefits and risks to the health of children and teenagers. Teens and preteens today also increasingly connect with and relate to their worlds through their digital devices. As these shifts occur, how can parents help their children achieve a happy, healthy balance between screen time and face time? Digital media consumption is one component of a healthy lifestyle, and parents should develop a plan that balances digital time with other important activities, such as sleep, exercise, family dinners and in-person face time with friends. Following are several important components to consider when creating your family’s media plan. Not all screen time is created equal. 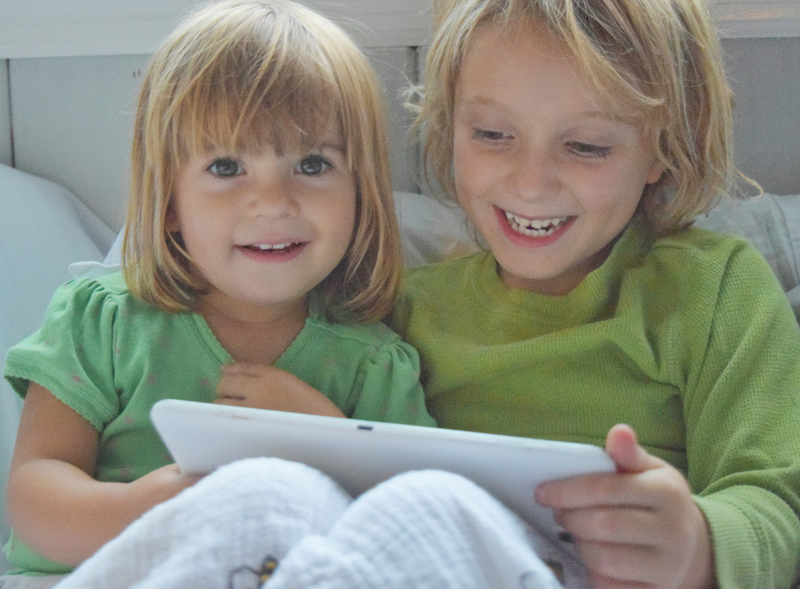 Common Sense Media identifies four main categories of screen time: passive consumption, such as watching TV and listening to music; interactive consumption such as playing games and browsing the internet; communication, such as social media; and content creation, such as making digital art or music. It is important to consider the type of screen time your child is engaging in when setting limitations. Creating digital art is a healthy hobby that you may want to encourage. Watching TV, on the other hand, is not as mentally stimulating and you may want to set limits on how many hours of TV your children can watch per day. And when you choose to set limits, be sure to stick to them. A new study suggests that setting a two-minute warning actually makes it harder to end screen time. Children also increasingly use tablets and computers to complete their schoolwork. If your child is doing homework on a digital device, make sure they are working in a common area so you can that they stay on-task. There are certain times when electronics should be off-limits altogether. Create screen-free zones where no one (adults included!) are allowed to use their digital devices. Parents model healthy screen time, so it’s important to set a good example by being cognizant of how often you check your phone and whether it’s an appropriate time to do so. If your children aren’t allowed to check their phones during dinner, you shouldn’t check yours either. It is up to you to decide when you and your family should be offline, but it’s widely accepted that the following areas should be tech-free. The dinner table: Eating together as a family provides an opportunity to connect with your children and learn about their day. Studies have also shown that eating together can prevent excessive weight gain. But even the presence of a smartphone can detract from these benefits, so keep them out of sight during meals. The bedroom: Using digital devices before bed can interfere with sleeping habits. Put away the screens an hour before bed to encourage healthy sleep patterns. If you do use screens in the evening, be sure to turn the brightness down. You may also want to charge your children’s devices in another room of the house to discourage them from checking them after they’ve gone to bed. Sometimes enforcing screen time limits can feel like a never-ending battle. In order to ensure children flex their social-emotional muscles, plan activities and encourage hobbies that don’t involve screens and help children engage face-to-face with others. Plan a weekly board game night; encourage your child to join a sports team or after-school club; or plan outdoor activities like hiking, swimming and biking. Planning outdoor activities and joining sports teams can also help ensure that your kids are getting plenty of exercise; children should get about an hour of exercise per day. In today’s tech-centric world, it can be tough to set limitations on digital time, especially since many of us adults spend the majority of our days staring at a screen. But finding the right balance can have lasting benefits for your whole family.